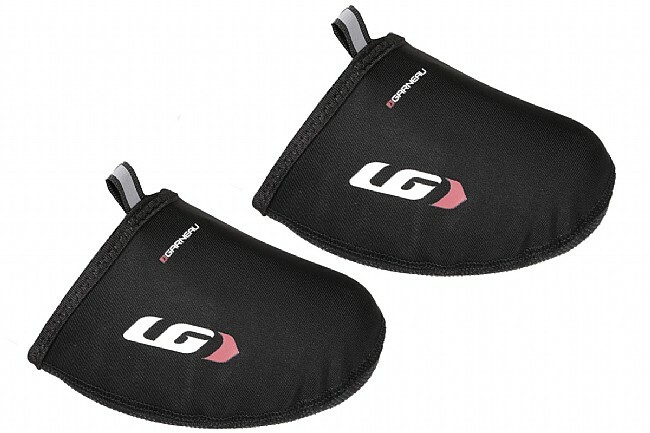 Louis Garneau's Thermal Toe Covers are ideal for adding warmth during transition seasons without adding bulk. They're made from 3 mm thick neoprene with a durable anti-slip layer on the sole for extended use. 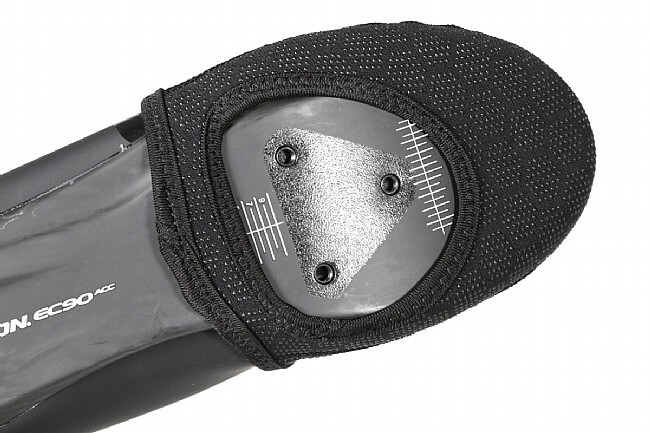 A cleat cutout is ample for fitting over road cleats of all types, and reflective pull tabs on the tops make for easy on / off. The stitching around the cleat holes helps the toe cover to last longer. They do provides some warmth also. 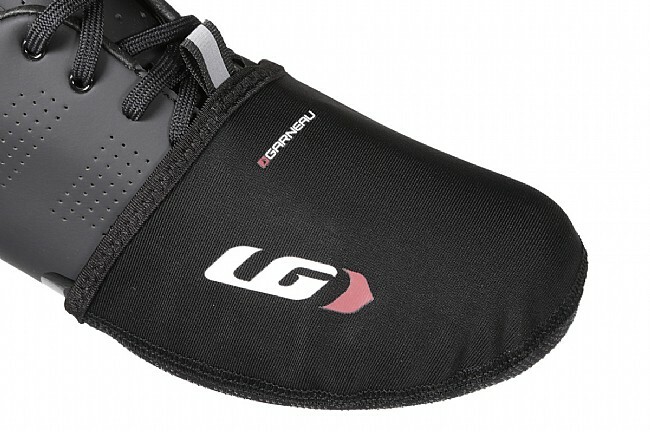 I am a big fan of Louis Garneau products. The toe covers are no exception. I live in Western New York, so September through November can be chilly in the mornings when I ride. The toe warmers are great because you can put them on your shoes and forget them. I just leave them on my shoes after I ride and they are all set for the next one. Also nice is that you can just layer full covers over them if it gets colder. I highly recommend them. These fit my large shoe. I have problems getting somethings to fit. Like universal fit whatevers. I have a large wide foot and have tried a lot of shoe covers. These really fit well without compressing the toe box and keeping the cold air at bay. These work very well to keep your toes warm in cold, dry weather when you don't need to wear rain booties. Easy to put on. The only downside is the wear on the bottom, but I think this is the case with any toe covers. I live in a relatively dry climate. These toe covers are easy on, easy off and perfect for that cold day where the full shoe cover isn't needed, but some moisture and cold protection is needed.